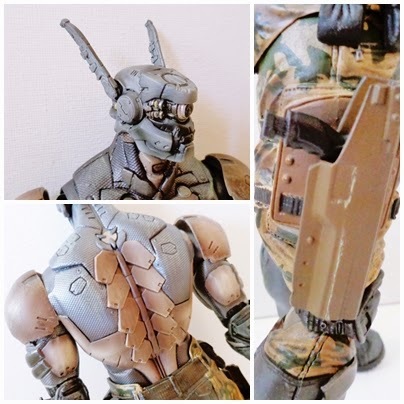 Briareos is of course the awesome cyborg hero from the Appleseed series and this version is based on the latest movie Appleseed Alpha. Personally I must say this is my favourite rendition of Bri it looks realistic and human like in its structure yet also looks robotic because of all the detail and oh my isn't he detailed. This is my first figure from the Play Arts Kai and I am impressed. His paint work is amazing and the sculpt is spot on to the character. 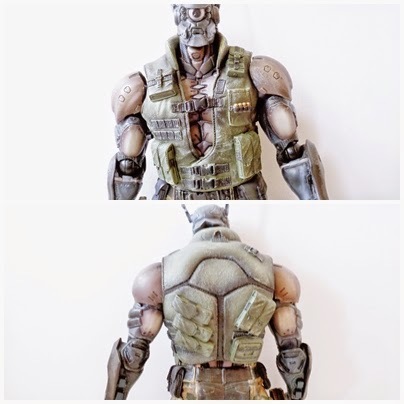 The Play Arts line also has all the articulation which you would expect the only downside is due to his size and sculpt he is quite heavy so you need to be careful when posing him without a stand so that he's not going to fall over and hurt himself. Briareos comes with three pairs of hands including a pair to hold his weapons. 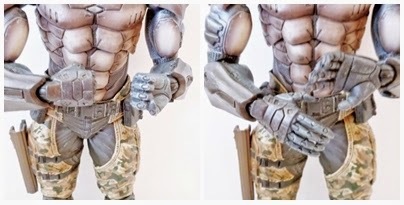 He also comes with a hand gun which looks a little silly if you ask me because its so little compared to him and his holster, however perhaps this is more realistic as Bri is a large hulking character. Personally I can't remember him using a hand gun in the film, but I've only watched it once so far so perhaps I missed it. 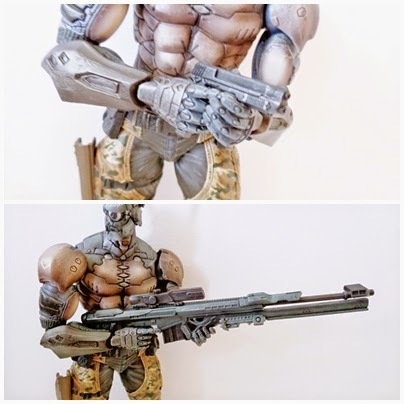 He also comes with his rifle which is always cool and its huge, almost the same size as him in length. If you are a fan of Bri I highly recommend this figure, now its a bit on the pricey side as the Play Arts line is larger than figma and S.H. but he is totally worth it. 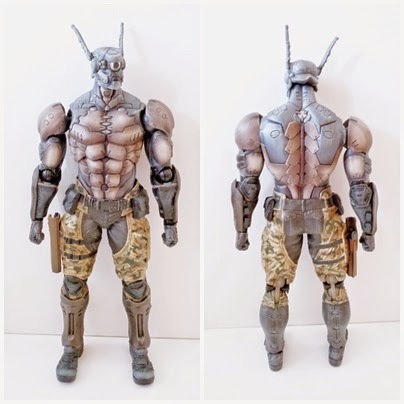 On a final note I will say that this time I won't be getting Duenan to accompany him as I am not a fan of the Appleseed Alpha design for her, which is a shame because I hate to separate the too but there you go. Definitely pick him up if he is a character you are fond of you won't regret it.